Kilwins Jacksonville is located in the St Johns Town Center located next to P.F. Changs. Kilwins was originally founded in 1947 by Don & Katy Kilwin in Petoskey, Michigan. Dana and Vance opened their Kilwins as part of the grand opening of the St Johns Town Center on March 18, 2005. Smiles awaken and the senses come to life when customers enter the world of Kilwins. The Jacksonville store reflects the culture of a true confectionery shoppe. 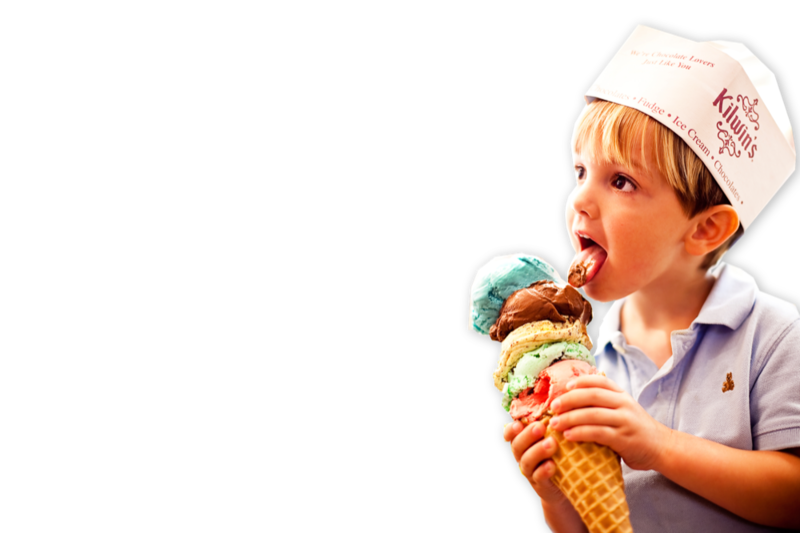 Let us bring the ice cream to you! We set up a mini-parlor for your guests, complete with fresh baked waffles made on site, your favorite flavors of Kilwins ice cream and a topping bar so everyone can create their own sundae. Allow Kilwins Jacksonville attend your next event - call us for pricing and availability. Kilwins Chocolate Fountains. . . are sure to make an impression for any occasion, from corporate entertaining to parties, weddings and other celebrations. Kilwins BEVERAGES for your next event . . . Coffee, Hot Chocolate, Iced Tea, Iced Coffee, Iced Mocha & Iced Lattes, Fresh Squeezed Lemonade, Orangeade, Limeade, Cherry Limeade, Strawberry Lemonade. . . Allow us to cater your next event with Kilwins Beverages. Fundraising Oportunites for your group . . . Allow us to do the work for you! Ice cream, caramel apples and chocolate frozen bananas are great for a fall festival & open houses. We are currently hiring for part time positions for waffle cone makers and ambassadors. Stop by our store to fill out an application. You must be available to work weekends and nights.